Taxpayers have just four weeks to prepare for the SA Revenue Service’s interim pay as you earn (PAYE) submission season, which commences on 1 September. There are important changes that will affect the PAYE reconciliation and submission process. New legislation that took effect in March this year means medical aid contributions are no longer allowed as a tax deduction for employees under the age of 65. The medical aid capped amounts have also been replaced with medical aid tax credits. “Companies that have not applied medical aid tax credits for the first six months of the tax year must correct this before they process their last payroll run this month (August),” says Laurica Kok, general manager at Softline Pastel Payroll. Kok adds that individual income tax reference numbers must be reflected in each submission. If one or more tax certificates do not include the tax reference number, the overall submission will be rejected. A new IT3(a) Reason code for tax certificates has been introduced by SARS for non-deduction of PAYE and must be applied on interim tax certificates. Code 08 will indicate a zero PAYE liability due to medical aid tax credits applied. There are also new source codes for fringe benefits and tax deductions that must be applied to interim tax certificates, replacing the consolidated values SARS required prior to the 2012 tax year. via Companies have just four weeks left to prepare SARS interim PAYE submissions | ITWeb. The South African Revenue Service (SARS) has extensive powers to collect tax. These powers are contained in various tax laws and are intended to facilitate the prompt collection of tax that is due. There have been a number of court cases dealing with the limitations of SARS’ collection powers. The Western Cape High Court recently gave judgment in a case dealing with SARS’ collections powers. The case related to a judgment obtained by SARS against Fastmould Specialist CC in respect of Value-Added Tax (VAT) and employees’ tax. The VAT Act and the Income Tax Act both contain provisions allowing SARS to obtain judgments against taxpayers by filing a statement with the clerk or registrar of any competent court. The taxpayer is not afforded an opportunity to oppose the granting of the judgment. Tax nightmares among owner-managed businesses and SMEs are costly and time consuming, particularly relating to tax queries and disputes with the South African Revenue Services (Sars). By simply implementing key preventative administrative steps, business owners can actively avoid or at least reduce the risk of these tax mistakes from arising. The accuracy of the underlying accounting information and supporting documentation is directly responsible for the integrity of a taxpayer‘s income tax return. In the case of SMEs, this integrity is often queried as a result of a lean accounting function and confusion in distinguishing between the financial affairs of the business owner and the business. Sars tax auditors are first and foremost focused on testing the reliability of accounting books and records, by, for example, reviewing cash accounting records for unusually large or ad hoc payments, on the basis that these often represent private expenses which have been processed as business expenses and claimed for tax purposes. The importance of accurate accounting information and supporting documentation is further compounded by tax regulations requiring taxpayers to maintain proof of all income and expenditure as well as maintaining business documentation in a particular format, for example, VAT invoices. 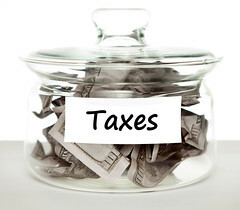 via Moneywebtax – Common SMEs tax mistakes – PAYE and SITE. In our Tax Alert dated 18 February 2011, we discussed the South African Revenue Service’s Binding Class Ruling No 27 (BCR 27), which dealt with the question of whether there is a liability on an employer to withhold pay-as-you-earn (PAYE) from tips received by the employees from satisfied customers. Based on the particular circumstances the ruling provided that the transfer of the tips from the employer’s bank account into the employee’s bank accounts will not constitute the payment of “remuneration” as contemplated in paragraph 2(1) of the Fourth Schedule to the Income Tax No 58 of 1962 (the Act) and would thus not be subject to PAYE. Some confusion recently arose around the application of BCR 27 with reports in the media stating that the effect of the ruling was that tips paid by an employer to an employee are not taxable (which will obviously create a stir). This confusion prompted the release of the updated BCR 27 which specifically confirms that the ruling does not mean that tips received by employees under the circumstances as described in the ruling, nor for that matter tips received in general, are not taxable. Amounts received by way of tips constitute “gross income” as defined in section 1 of the Act and will, therefore, be subject to income tax in the hands of the recipient. The fact of the matter is that tips (as contemplated in the ruling) will not constitute “remuneration” as defined in the Fourth Schedule, which merely releases an employer from the obligation to withhold employee’s tax from these amounts, but does not release the recipient from the obligation to declare such tips for income tax purposes. BCR 27 does not address the issue that the recipients should be aware that if the employer does not deduct PAYE from the tips, the employee may still be required to register as a provisional taxpayer. A provisional taxpayer under the Fourth Schedule to the Act includes any person who derives by way of income any amount which does not constitute remuneration or an allowance otherwise contemplated in section 8(1), but excludes a person exempt from the payment of provisional tax in terms of paragraph 18 of Fourth Schedule to the Act. In this regard, paragraph 18 of the Fourth Schedule specifically excludes any natural person who does not derive any income from carrying on any business, if the taxable income of that person for the relevant year of assessment will not exceed the tax threshold. the recipient may be required to register as a provisional taxpayer and make payments for provisional tax on 31 August and 28/29 February each year, as the case may be. In the end, the additional administrative consequences for a recipient of tips which are not subject to PAYE and where such recipient is required to register as a provisional taxpayer may prove to be more of a nightmare than if the PAYE had simply been deducted by the employer.